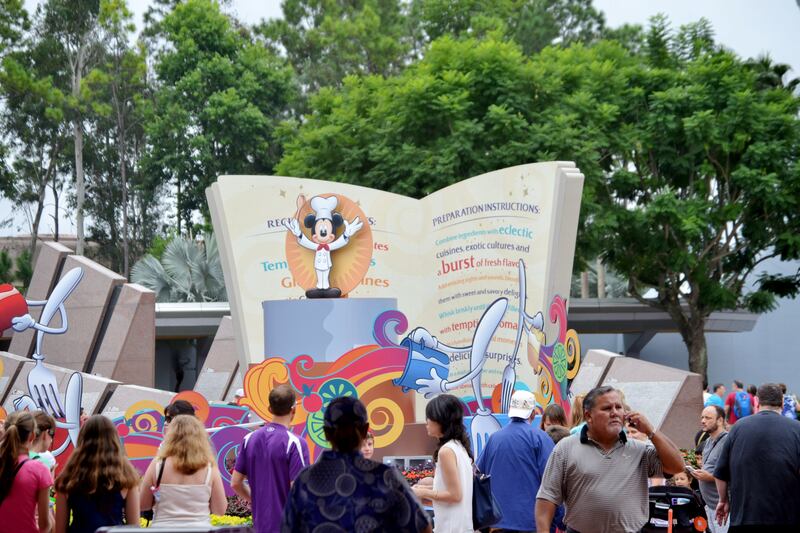 One of the many favorites during the Epcot Food and Wine Festival is the kielbasa and potato pierogies found in the Poland pavilion. The kielbasa in this dish is cooked perfectly and boasts in flavor. This kielbasa is paired phenomenally with cheesy potato pierogies. 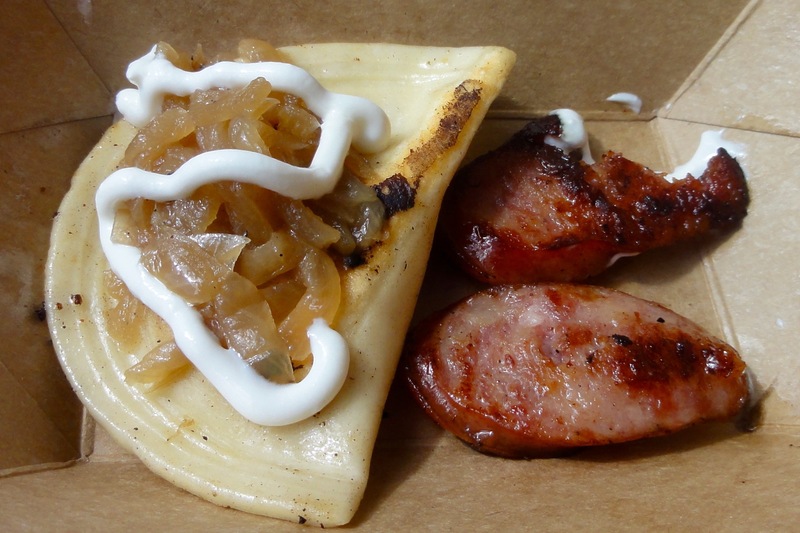 During the Food and Wine Festival, you can taste this dish of kielbasa and pierogies that is topped off with caramelized onions and sour cream. Heat oil in a large skillet over medium-high heat. Add onion and reduce heat to medium-low, cooking until onion is soft and translucent. Stir in garlic and tomatoes; season with salt and pepper. Add sausage, cover and cook for 15-20 minutes or until sausage is heated through. Set aside and keep warm. Cook potatoes in a large pot of boiling water 15 minutes or until fork tender. Drain and add milk, butter, salt and pepper; mash until smooth. Stir in cheddar cheese. Set aside to cool. For dough, put flour in a large shallow bowl and make a well in the center. Add egg, salt, and milk to well. With your fingers, slowly saw flour into the liquid to form a soft, smooth dough. Knead well. Cover the dough and let stand at room temperature for about 30 minutes. On lightly floured surface, roll out dough as thinly as possible (about 1/8-inch thick) and cut into 3-inch circles. Spoon a generous teaspoon of filling in the center of each circle. Wet edges of dough with fingertip dipped in water, then fold over and crimp edges with a fork to seal completely. Transfer to a lightly floured kitchen towel and cover with a damp towel. Bring a 6- to 8-quart pot of salted water to a boil. Add pierogies, gently stirring to keep them from sticking together, and cook about 5 minutes––they will float to the surface when cooked. Drain on paper towels. In a large sauté pan, melt butter and cook pierogies for 3 to 4 minutes on each side or until crisp and brown. Serve with kielbasa and top with a dollop of sour cream sprinkled with chopped chives (or substituted caramelized onions). Next time you are thinking of a new Disney recipe to try, give this kielbasa and potato pierogies recipe a try! For those lucky travelers heading to the Food and Wine Festival, make sure you grab one of these samplers and enjoy a true Polish dish!